Through creative partnerships, Kopernik believes we can find impactful solutions that have the potential to address social and environmental issues at scale. We recognize that our own projects only directly reach the people we work with in the last mile, and we, therefore, promote the power of collective impact. Over the last year, Kopernik has partnered with creative industries to popularize our ideas and findings, and determine the most effective solutions that bring lasting social change. Kopernik’s partners include musicians, filmmakers and artists, who hold unique influential positions to amplify social causes and engage broader audiences. Pulau Plastik is an educational video series developed specifically for local communities aims to initiate behavior change that will lead to a better understanding of the plastic waste problem in Bali, improved waste disposal practices, and a reduction in plastic consumption. Through our Pulau Plastik initiative, Kopernik seeks to reach new audiences and engage younger Indonesians. The video series will adopt behavioral science techniques in addition to anthropological and cultural approaches. 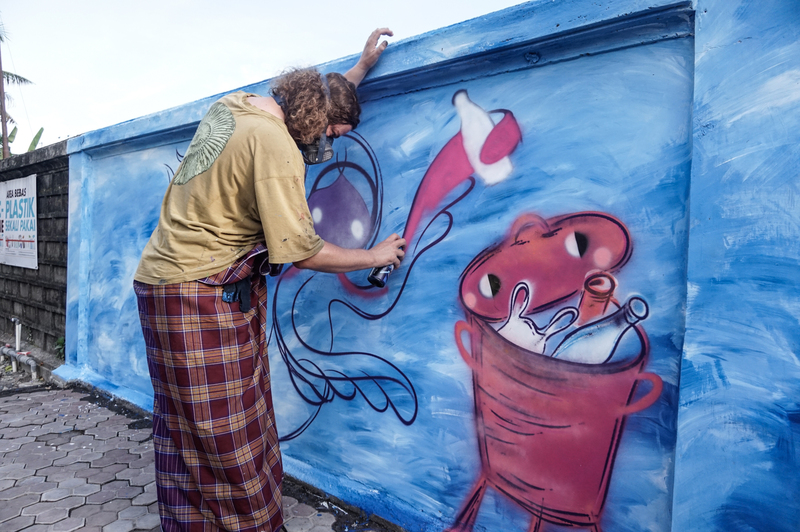 In the spirit of harnessing creative arts to bring social change, Kopernik hopes Pulau Plastik will strengthen community activism, and inspire Indonesian audiences to engage, take action and substantially limit the use of plastic. For our eighth anniversary, Kopernik hosted Kopernik Day (K-Day), which showcases key social and environmental issues, in addition to existing solutions in Indonesia. K-Day has become an annual music and ideas festival featuring Kopernik’s experimentation and the work of partner organizations including musician and filmmaker partners. 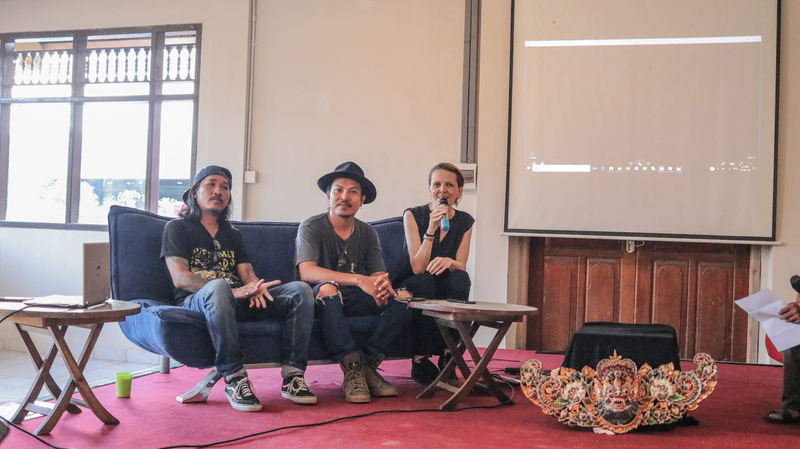 In partnership with leading Indonesian rock band Navicula, and award-winning Film Director Erick EST, Kopernik launched a music video — “Terus Berjuang” (“Keep Up the Fight”). The collaborative project features the initiatives of Kopernik in Sumba, and highlights the resilience of social activists working across Indonesia. Navicula is widely acclaimed for its songs promoting social justice, and Robi, Navicula’s founder and frontman, along with Kopernik’s co-founder Ewa Wojkowska are recipients of the Asia Society’s Young Leader awards. Together with Navicula, the University of Melbourne, and Artistic Merit, Kopernik received a 2017 grant from the Australian Government’s Australia Indonesia Institute to conduct a month-long series of social and environmental exchanges including discussions, workshops and performances with artists, students and indigenous communities in Australia. 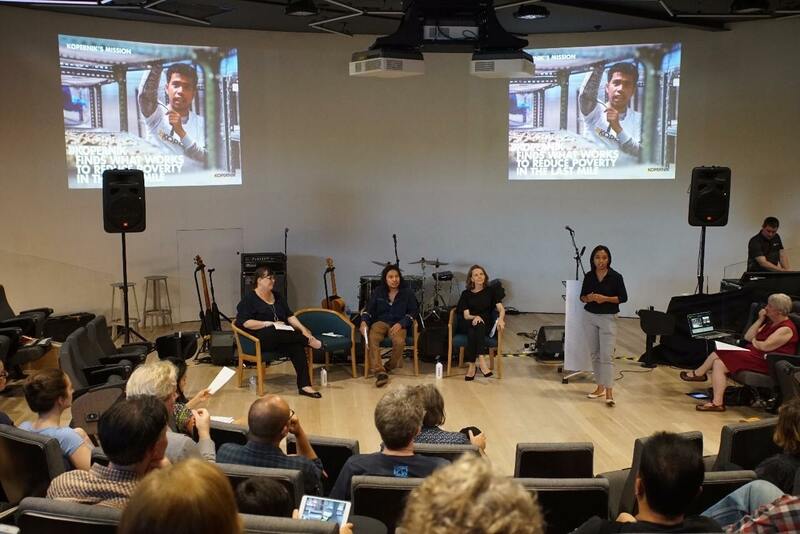 Navicula’s I Gede Robi, Kopernik COO and co-founder Ewa Wojkowska, and Kopernik’s Senior Analyst Nanis Sakti Ningrum discussing the role of music & technology for social change with college students in Australia. Kopernik recently hosted a fringe event with partners Tulodo (Indonesia) and Ba Futuru (Timor-Leste) alongside the 2nd International Social and Behavior Change Communication Summit in Bali, which featured behavior change films and music as a vehicle for social change. At TEDx Ubud in 2017, Kopernik’s Senior Analyst presented “Why Perfect Solutions Don’t Guarantee Perfect Decisions”. In her talk, Lana Kristanto argued that behavioral science be utilized to design solutions in development contexts that override our erroneous decision-making tendencies. Kopernik remains committed to engaging new audiences through its collaboration with creative partners to amplify social causes.